Cornelia Heard earned her Bachelor and Master of Music degrees at the Julliard School, where she studied with Dorothy DeLay and Robert Mann of the Julliard String Quartet. Other coaches have included Felix Galimir, Earl Carlyss, Samuel Rhodes, Ruth Laredo, Michael Rudiakov, and members of the Cleveland Quartet. Ms. Heard holds a Bachelor of Arts degree from Sarah Lawrence College. As a member of the Blair String Quartet, she has toured extensively throughout the U.S. and recorded for the Warner Brothers, New World, and Pantheon labels. 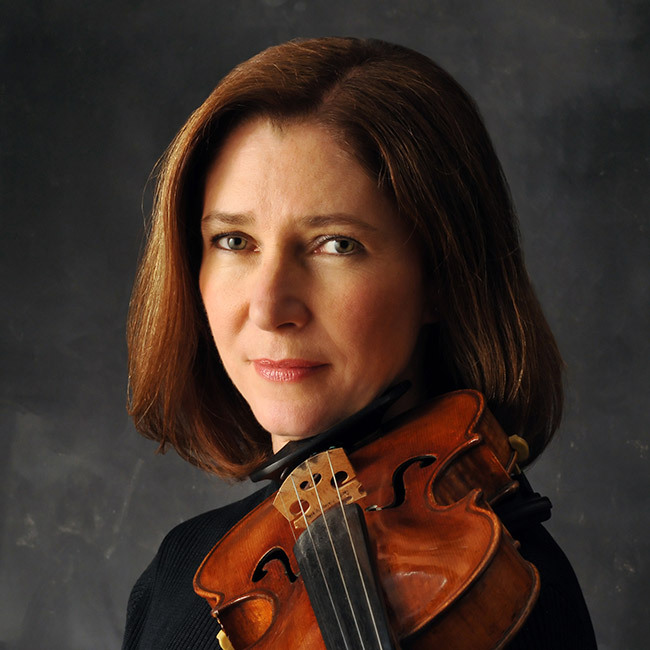 She has performed as a chamber musician on concert series at the Library of Congress and New York’s 92nd Street Y, as well as at Lincoln Center, the Kennedy Center, Merkin Hall, and Carnegie Recital Hall, and has performed extensively on public radio and television. She has served as artist-in-residence at both the Aspen Music Festival and the Sedona Music Festival and also on the faculty of the Sewanee Music Festival from 1985-1999. Other summer festival appearances include those at Skaneateles, Colorado, Kapalua, Roycroft, Music Mountain, Meadowmount, and Maverick Concerts. Ms. Heard has appeared as soloist with the North Carolina Symphony, the Nashville Symphony (as a member of the Blair Quartet), the Municipal Chamber Orchestra in New York, The Vanderbilt Orchestra, and the Aspen Brandenberg Ensemble. In the summer of 2002, Ms. Heard joined the faculty of the Killington Music Festival in Vermont.